Zeezok Publishing’s high school government course explores the creation, implementation, and evolution of this experiment. 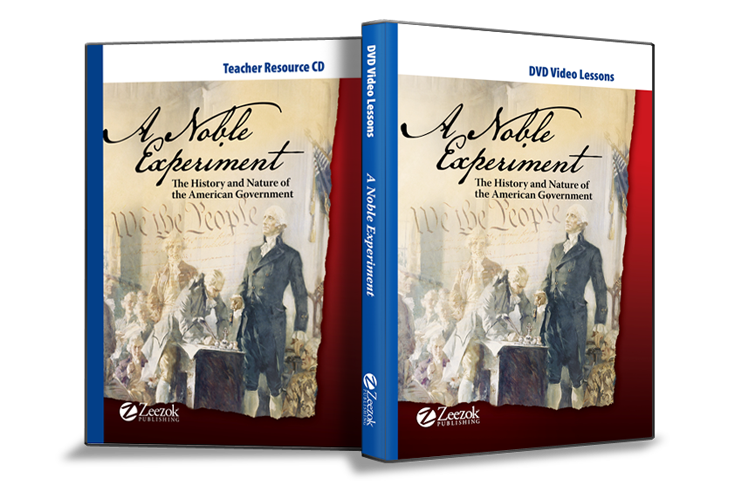 Designed around the national civics standards, A Noble Experiment is a student-directed program using primary source documents and twenty-four DVD lessons. (View sample lesson below.) This DVD series contains all of the lessons used with the student activity book. Additionally, a Teacher's CD with scripts of all the video lessons (key points highlighted), answers to all of the student activities, quizzes and tests is included. 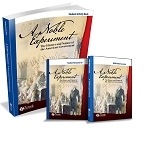 Created for the busy homeschooling parent, A Noble Experiment government course enables the student to complete the course with a minimum of outside assistance. An easy-to-follow course syllabus and DVD video instruction allows the student to work independently of their supervisor. The five DVDs contain the twenty-four video segments. Each video session is a self-contained instructional module. More like a conversation than a lecture, the videos cover all the major topics in the National Standards for Civics and Government at the high school level. The Teacher Resource CD contains printable copies of the course outline, the course syllabus, answer keys for all graded student assignments, a grade book to record individual assignment scores, and optional activities for use by the motivated student or homeschool co-op groups. It also contains the entire transcript of the video lessons, with highlighted key concepts. This format enables the teacher to quickly look up pertinent information without the need to watch the video lessons. Students may also use the transcript to review for assessments. The CD concludes with a course description for use on the student’s high school transcript. You can view a clip of a video lesson below.